In real estate, having exclusive in-person access to top producing industry leaders can be the difference between your business surviving and your business thriving. So we’re peeling back the curtain to give you behind the scenes access to one of our almost 250 annual CINC Mastermind events, where our exclusive team of top producing agents share the secrets to making their businesses successful. 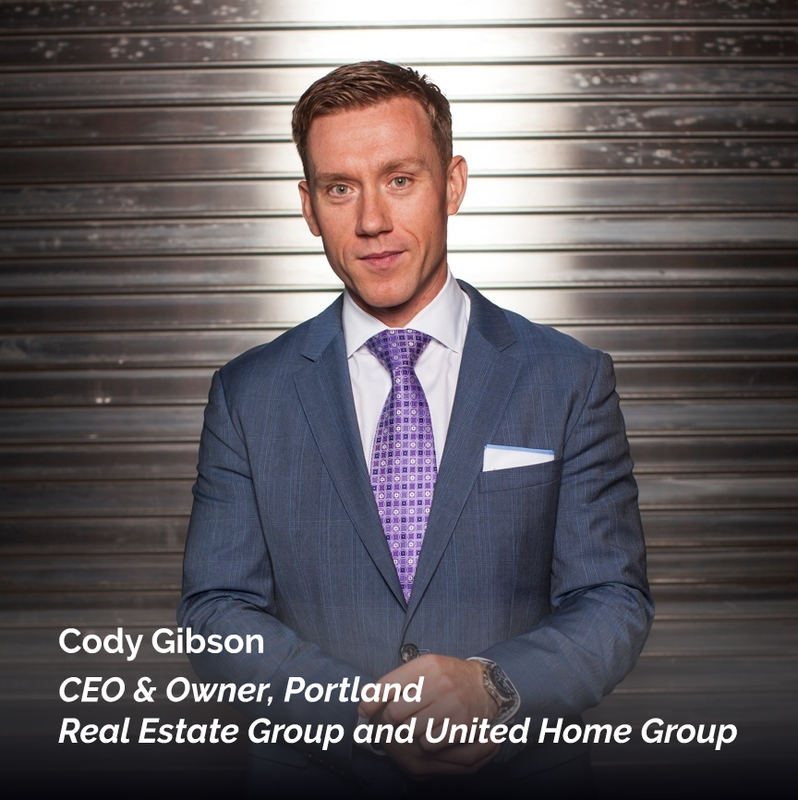 This past November, one of our most sought after CINC power users Cody Gibson, Principle Broker & CEO for Portland Real Estate Group (and former Boomtown client!) lead an exclusive Mastermind in Denver, where he shared his lead standard best practices that have helped him grow to closing over 1,000 transactions a year! Read on, as we share the details behind Cody’s team’s success, and reveal the lead standards you can replicate in your business to experience similar growth! 1. Lead Conversion: What are Your Standards for Converting Leads? Success in real estate starts with speed to lead. When we looked at the top 25 CINC teams (teams that closed the most deals last year), we found that the number one factor contributing to their teams’ success was Speed to Lead, or the average amount of time it took their agents to respond to a lead coming into their CRM. Cody's team is no exception. Speed to lead is critical because responding quickly to your leads creates trust, and signifies that you are on top of your business. 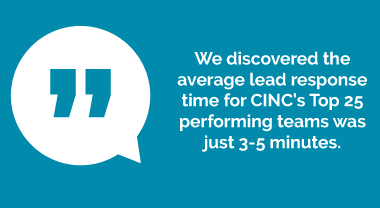 The average lead response time for CINC’s top 25 performing teams was just 3-5 minutes. Leads that weren’t touched within those critical first five minutes would automatically be re-routed to another agent, because if you're not calling your leads within the first 5 minutes of them registering on your site, then you've already lost them. And top performers like Cody know that if you don't know whether or not your agents are calling their leads within the first 5 minutes, with CINC, we can look in your system and find out. 2. What's your communication path? When it comes to lead follow up and your communication path, your CRM aka “the machine” will outperform the agent in terms of consistency every time... but the agent will outperform the system in terms of personalization. So in order to be successful, you need a good mix of both. Top producers like Cody have a minimum of 4 standard touches with every lead coming in, ideally all within the first 5 minutes via Text, Call, Email and Social Media. Texting typically shows a 67% better response rate than calling, so a follow up text is key. If you don't have the ability to text within your system yet, you can explore texting solutions like Go Riley or Agentology to solve that problem for you - our best agents use both. Social media is also becoming increasingly important with a millennial audience, which happens to be the biggest home buying and seeking generation in 2018. Fish where the fish are, so to speak. We know leads are engaging on social media, so why wouldn’t we meet them there to attempt contact? Cody's team isn’t afraid to get aggressive in approaching leads on social media because, “The truth is if they’re not my client it’s already a no, and it can’t get any worse.” So there really isn't anything to lose by reaching out. The accountability piece is key to Cody's team's success. Top performing CINC teams, like Cody’s all set a 15 minute accountability meeting every Monday morning to walk through the CINC broker dashboard with their team. This sheds a necessary spotlight on individual and team performance. We’re very big on keeping score and keeping it as public as possible, because as soon as you start keeping score people start playing harder. Start in order of who had the most profitability and who had the least. Once you identify who's in the green, who's in the yellow, and who's in the red, you can begin to make adjustments accordingly. When it comes to our top producing teams, agents will either move up or they'll move out, but they don’t get to stay in the red. 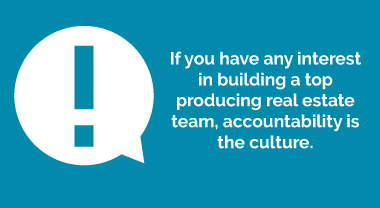 As a broker, if you have any interest in building a top producing real estate team, accountability has to be the culture. The wrong people will push back on it and complain about it. The right people will conform to it and help promote it. Public scoreboarding creates self correction and an organization where you all have accountability. At the end of the day, in real estate it’s all too easy to believe that individuals performing at a higher level than you have some sort of magic bullet that’s responsible for their success. The truth is that the real magic bullet it consistency. Implement these critical lead standards in your business, as our CINC top performers have, and watch your business grow as well. Hear more of Cody's thoughts on what contributed to his team's growth this year below!